Excited rumors become reality as Microsoft debuts the first footage from an upcoming Killer Instinct title at its E3 presentation. Things we saw in the all-too-short Killer Instinct reveal trailer: Street Fighter IV-style 3D graphics pinned to a 2D plane, crazy, physics-defying combos and an overly-excitable announcer who exists purely to shout things like "Ultra Combo" and "Combobreaker" at appropriate moments. Things we didn't see in the all-too-short Killer Instinct reveal trailer: Pretty much anything else. So, we now know that there is a new Killer Instinct fighter on the way, that seems to simultaneously harken back to its predecessors while also employing a host of new, modern fighting game tropes. This is a positive. Less positive is what we don't know about it. There's no release date, no roster, and no word on which consoles this thing might appear. We expect more details to emerge soon. Stay tuned. 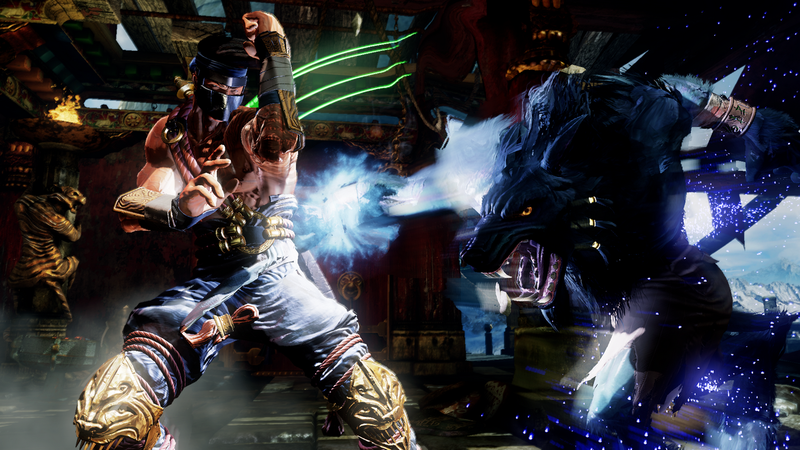 Update: More details on Killer Instinct emerged as part of Microsoft's Smartglass presentation. Both Jago and Sabrewulf are in the game. Madcatz is creating a fight stick for the title. That earlier Street Fighter IV comparison seems increasingly apt, as the graphics are very similar (though gameplay seems decidedly faster). Aiding Killer Instinct's potential as a big fighting title, the game will also feature integrated streaming features via games streaming powerhouse Twitch (as well as the Xbox One's inherent game recording functionality). We'll bring you more as it appears.